This basic white roll/white bread is fluffy and soft and would make the perfect complement to any Thanksgiving dinner (or just because). 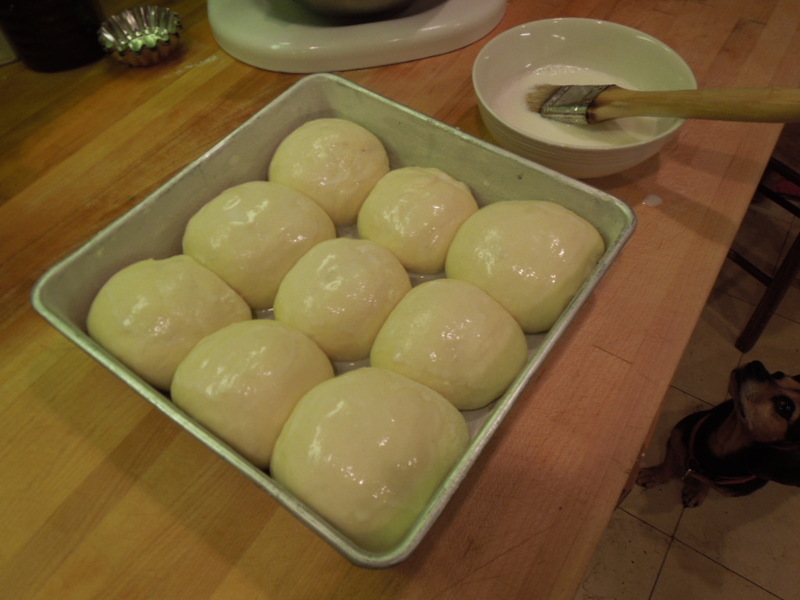 The dough can also be made ahead of time and stored in a gallon sized Ziploc bag in the refrigerator until ready for use. Just pull from the refrigerator, put into your prepared pan, let rise and bake. 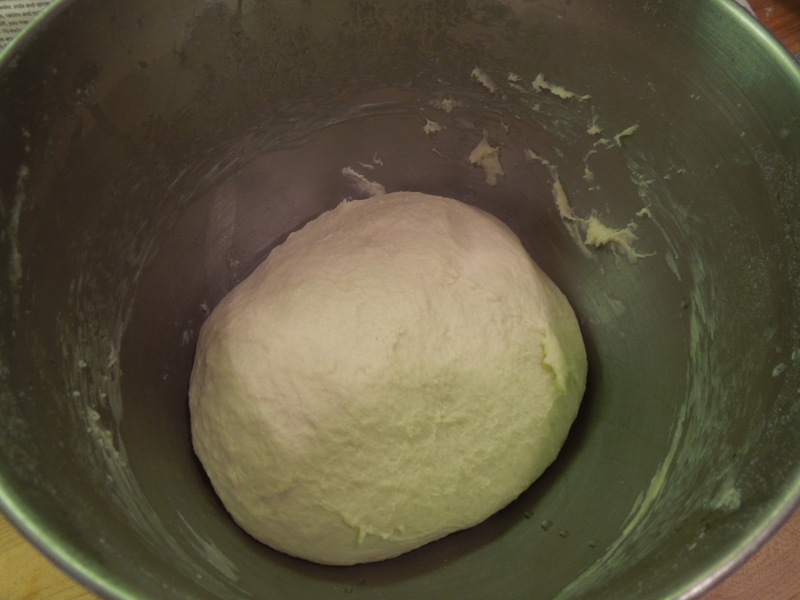 This dough will keep in the refrigerator up to a week. At first when I was researching the perfect white bread, I came across a lot of recipes that claimed to be “Wonder Bread Cheater Recipes” or “better than storebought”. I guess taste is kind of subjective in that way. I wasn’t necessarily going for Wonder Bread or store bought taste, just a nice, homemade fluffy white bread that was versatile. It took a lot of trial and error (and lots and lots of flour) but a couple of years back, I finally got it right! In your stand mixer affixed with the paddle attachment, on low speed, mix together all ingredients except for 3 cups of flour and milk. 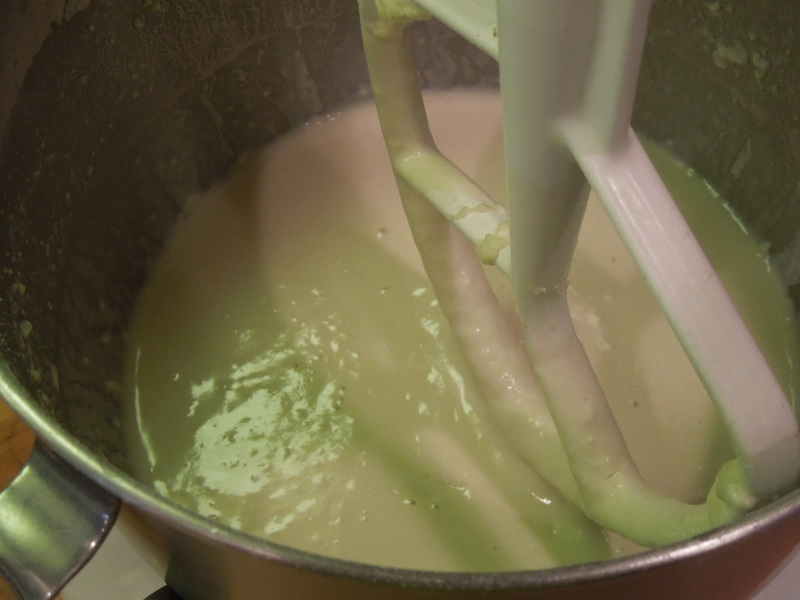 Once well combined, let the mixture rest for around 10 minutes or until it starts to bubble and foam. Switch to the dough hook attachment. 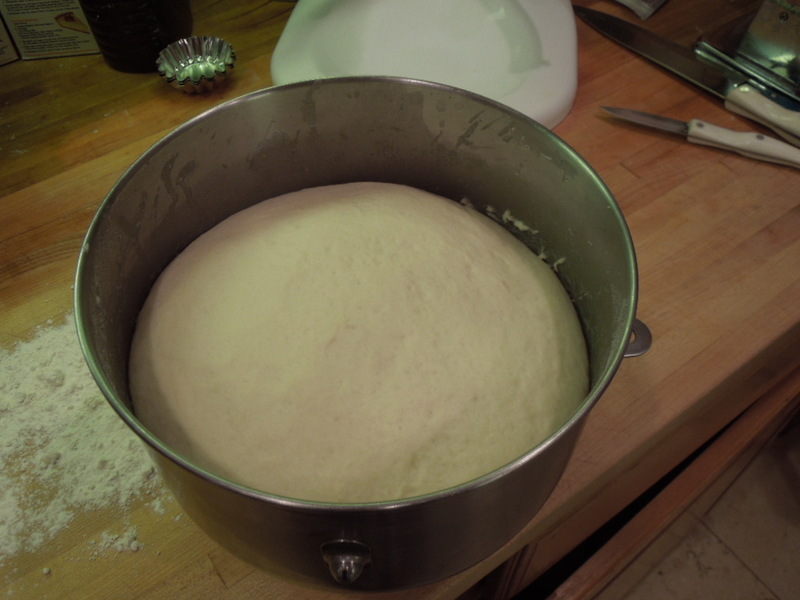 On low speed, mix in the remaining flour, a little at a time and let the dough continue to kneed for 6-10 minutes. Dough will be wet and sticky (that’s okay). 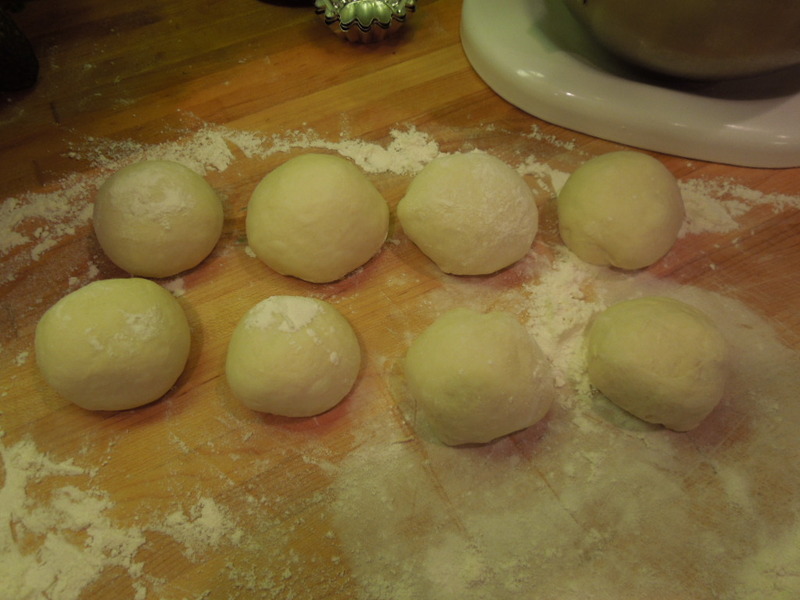 Using well – oiled hands (go ahead – grease ’em up really good), form the dough into a ball, tucking under the edges, down ward and inward, keeping the seam on the bottom until a nice ball is formed. (I call this the “tuck ‘n roll”.) 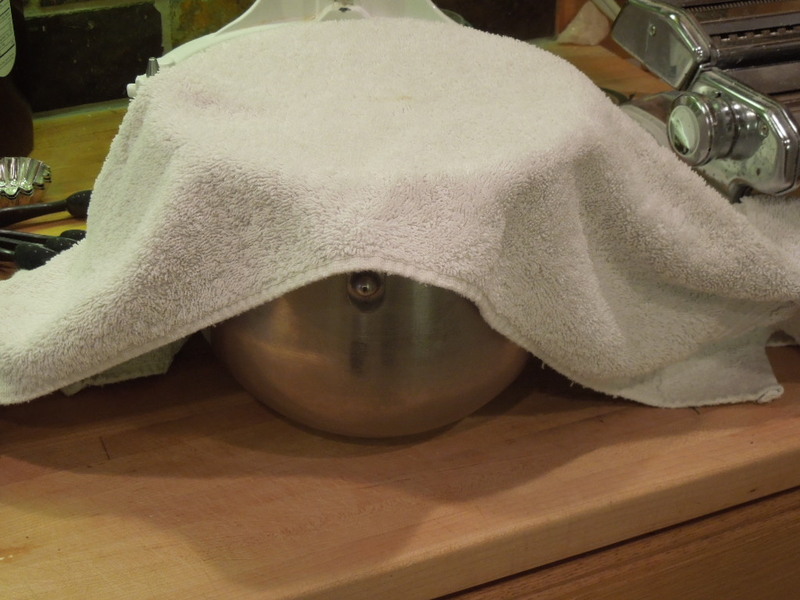 Put dough ball back in the bowl, cover the bowl with a towel and let the dough rise until doubled in size (40-60 minutes). 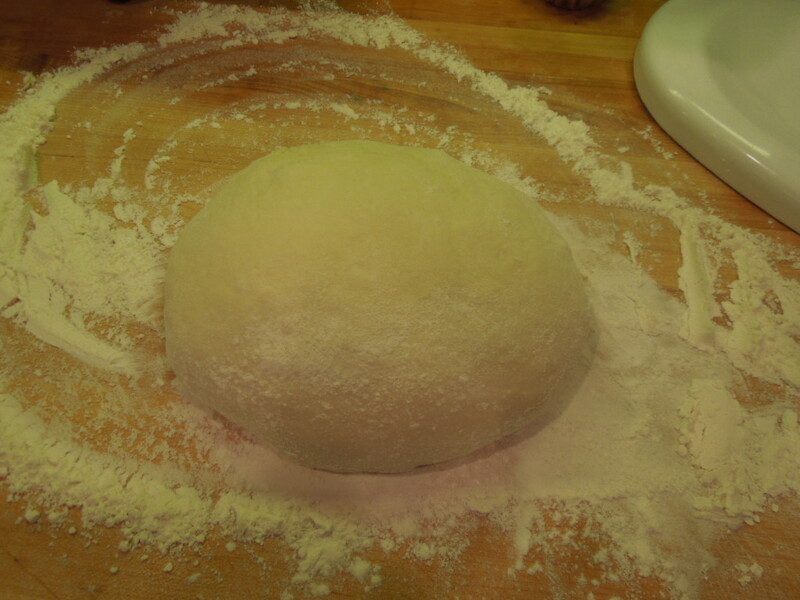 On a floured board, remove dough from bowl and form into desired shape (I use the same tuck ‘n roll for my rolls and loaves, for what it’s worth) and place in a prepared pan (either with cooking spray or unsalted butter and flour). Preheat oven to 375 degrees. 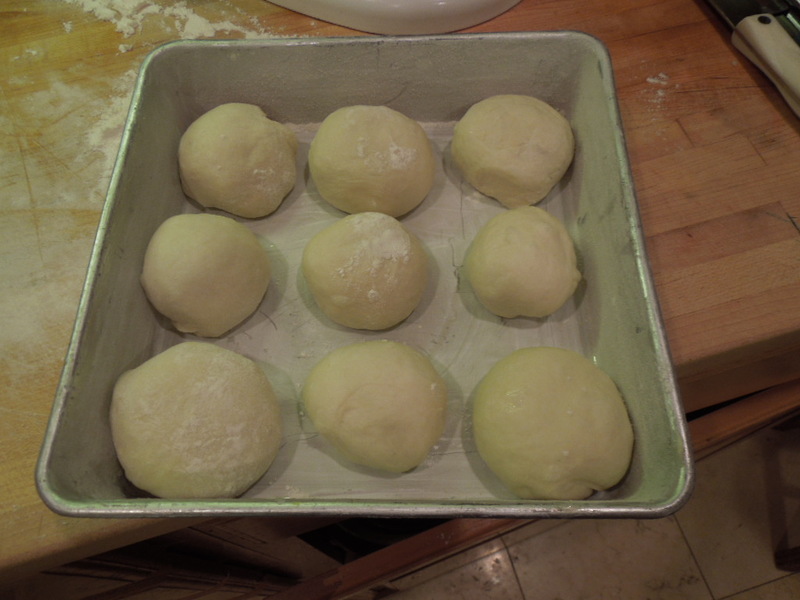 Cover pan with a towel and let dough rolls/loaves/whatever rise until doubled again (40-60 minutes). 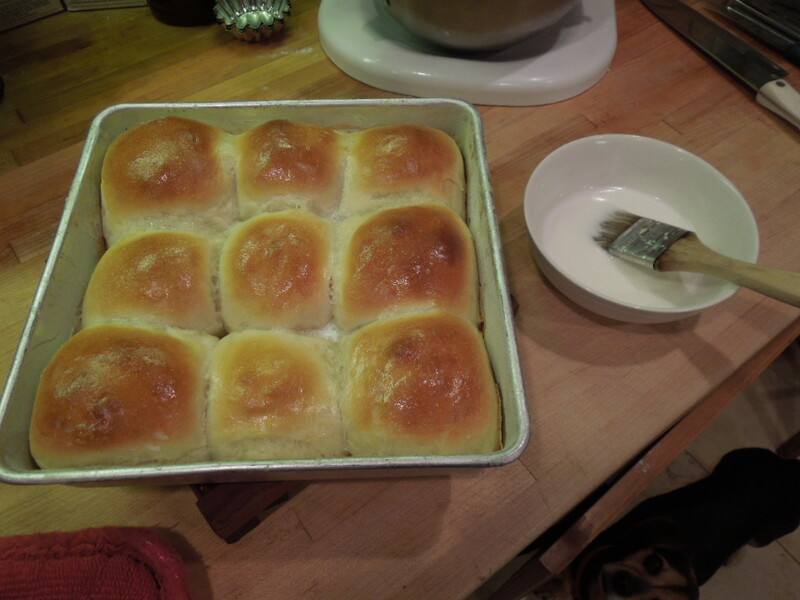 Using a pastry brush, baste tops of rolls or loaves with milk. Bake rolls or loaves around 25-30 minutes or until rolls sound “hollow” when tapped on top (be sure to tap each roll), brushing with milk twice during cooking and once when removed from the oven. Let rolls rest at least 15 minutes before serving. Don’t worry, they will still be hot. Makes 16-20 rolls or 2 nice sized loaves. Tips on pans – typically I break this recipe in half, which fits 9 rolls perfectly in an 8×8 pan – more than enough for a couple of dinners and a breakfast around our house. If I’m doing a full batch of rolls for a family gathering, however, I use either a 14” round pan or a 14”x9” rectangular pan. Pyrex pans work just fine as well. Tips on raising dough – First, find the heat! I like to raise my dough on the top of the refrigerator because it is a large, tall appliance which emits enough heat to raise dough quickly. Other good options for warm spots which aren’t too hot include: top of clothes dryer, a sunny window, in a cupboard with under cabinet fluorescent lighting (lights on, of course) or on the “vent” burner of your electric stove (place a towel underneath the bowl or pan if you use this option to avoid over-heating). Tags: basic white bread recipe, basic white roll recipe, dinner rolls, fluffy white bread recipe, food, homemade white bread, homemade white rolls, recipes, rolls, soft white bread, soft white rolls, white bread recipe, white rolls, with pictures. Bookmark the permalink. These really are some amazing rolls! So soft and yummy!